Offering you a complete choice of products which include 2000 ml pet jar for oil, pet jar 5000 ml edible oil bottles, pet bottles, mustard oil bottle and edible oil bottle. We are offering a wide range of PET JAR. Our range can resist and are available in various capacity ranges, colors and sizes. These are appreciated for its attractive looks and perfect finishing. Our product can be availed as per the requirement of the client . Design Name 5000ml Neck Size 120mm Gram Available 100 to 145 gm.The offered collection is made up of the high quality Pet Bottle. We offer a huge gamut of Mustard Oil Bottles in the market. Our product is available in many designs, sizes and colors, and suitable for storing oil & other liquid food items. Fostered with rich industry experience and a highly experienced team of professionals, we are offering Edible Oil Bottle which is hygienic and are widely used for storing edible oil. This oil bottle is manufactured from the high grade material and latest technology in compliance with set standards. Also, we provide this oil bottle in various sizes & customized options as per client-specific requirements. 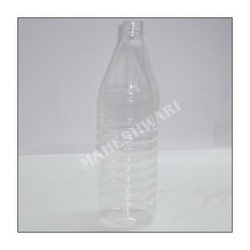 Customers can easily avail this oil bottle from us at market leading price in quality packing.